Group photo of I.W.W. members, taken during the 8th Convention in Chicago, Illinois. with Ben Fletcher at left. 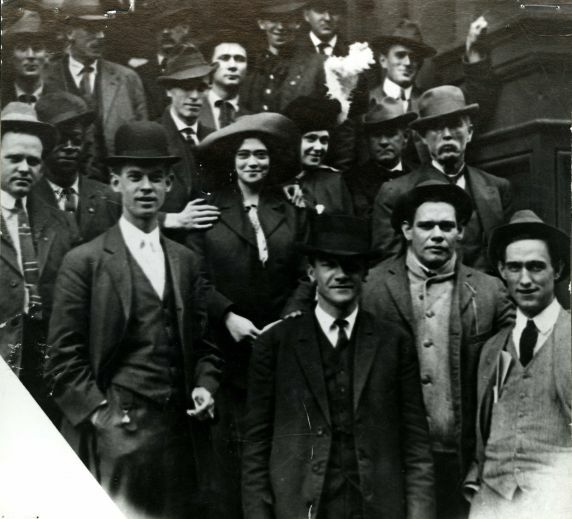 The woman in the large hat, at center, is identified as Matilda Robbins.